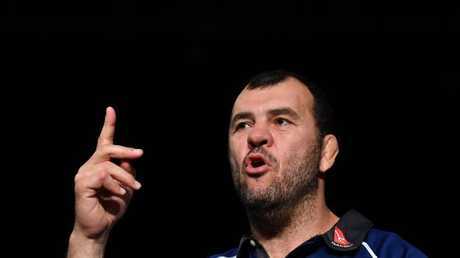 Michael Cheika is adamant the tough times will turn around for the Wallabies. 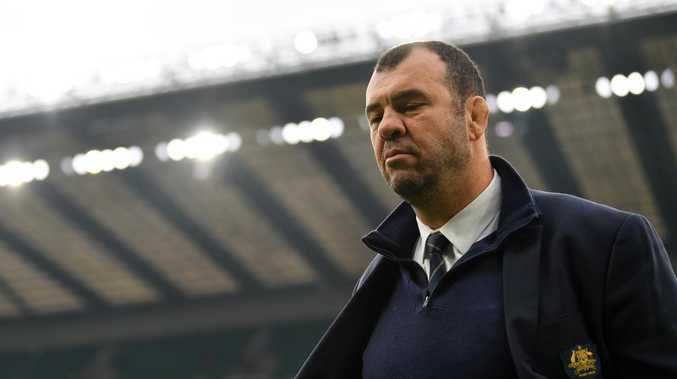 Embattled Wallabies coach Michael Cheika maintains he's still the man to take Australia to the World Cup despite falling to a ninth defeat of a miserable 2018. Cheika's side sank to a 37-18 loss - their joint second biggest against England - in a game where they were largely second-best at Twickenham. The defeat was Australia's ninth in 13 matches and despite it being a year to forget, Cheika insisted there are still reasons to be optimistic. "You've got to have the bad bits. "You don't want to have them but when they occur you've got to live them and own them. Michael Hooper says the absence of Adam Ashley-Cooper and Kurtley Beale didn’t distract the Wallabies. "There's no law that says you can't feel sad or feel pain because that's what's happened to us this year. We've felt sad often and we've felt pain often. We will use that when we come back. Despite the loss, the Wallabies had genuine reasons to be aggrieved on the stroke of half-time when they should have been awarded a penalty try that would have given them the lead at the break. A similar tackle by Farrell against South Africa three weeks ago has since been deemed illegal at a meeting between coaches and referees bosses, but referee Jaco Peyper claimed Rodda instigated the contact. Cheika was less than impressed with the referee's call. 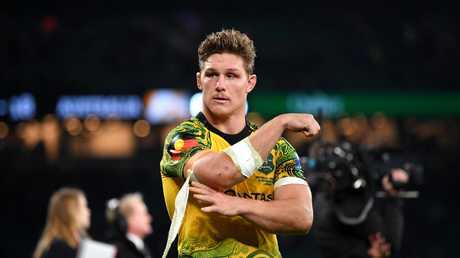 Wallabies skipper Michael Hooper denied that stars Kurtley Beale and Adam Ashley-Cooper being stood down for the match for breaking team rules had affected the squad. Abrasive England prop Kyle Sinckler, who was dominant in the scrum against the Wallabies front-row, was quick to make his feelings known towards Hooper, calling the skipper a 'f***king snitch' on the field.